Ninja Theory have managed to gain quite a reputation for creating visually impressive games, with strong storylines and interesting characters. With titles like Heavenly Sword and Enslaved: Odyssey to the West, the developers showed their flair for creating exciting original titles, and with their work on the re-imagining of Devil May Cry they won many new fans. With hack and slash games like this under their belt, you would imagine that a new fighting title would be a no-brainer. 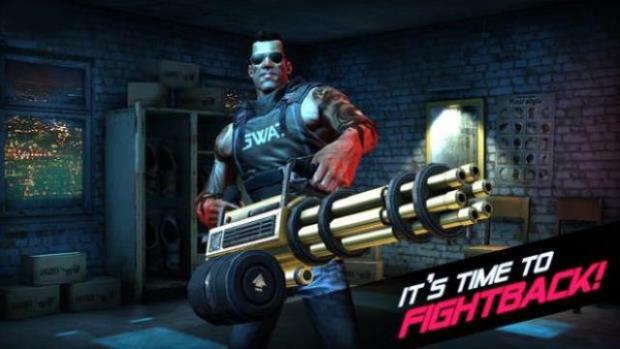 So we have Fightback – an iOS-exclusive title manages that to prove that no matter how visually exciting their previous games have been, and how interesting the stories were, no developer is infallible. Somehow, Fightback manages to lack any real charm or appeal, and the story is almost non-existent. The graphics aren’t bad for an iOS title, but the enemies are fairly generic and the backgrounds all so repetitive that the visual design does little to stand out. What little story there is amounts to this: you play as an Eighties-style action hero, whose daughter has been kidnapped by a madman who seems to know you from your previous time on the battlefield. With the help of your old commanding officer, and several other assistants, you must work your way across the city, through several tower blocks full of thugs, to rescue your daughter. This is all as by-the-numbers as you can get, and despite being a casual iOS game where maybe a strong plot isn’t as important, this is very disappointing from a company with the pedigree of Ninja Theory. 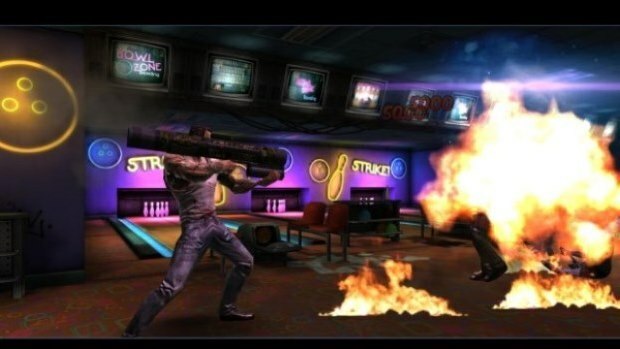 You choose where to fight from a city map, then start at the bottom of a building and ascend floor by floor (stage by stage), before reaching a boss level. Each level is a series of two or three waves of bad guys, set to a timer. You’ll have to utilise punches, kicks and weapons in order to clear each stage before the timer expires, while also keeping an eye on your health bar. If you lose all of your health or run out of time, you will have to try again. Each fight is very similar to the last, however, and most follow a set pattern of attack, dodge, attack, dodge. 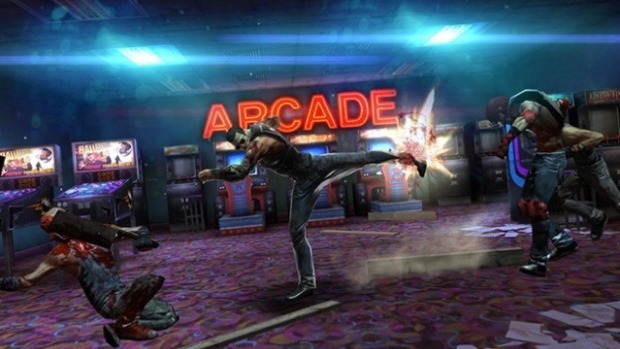 Punches and kicks are all performed with taps and swipes on the screen, with different directional movements for leg sweeps, dodges and flying knees, for example. There is a small amount of variety in these moves, but in the heat of the moment half the time you swipe upwards to perform a rising knee, only for the game to think you swiped forwards for a punch. This lack of precision is even more evident on iPhone than iPad, where the small screen restricts what you can pull off easily, and your fingers conceal too much of the action to clearly see what you are doing. Weapons can be scavenged from fallen enemies or purchased with your winnings from clearing levels, and these allow for greater damage and some dead-eye style ranged attacks. These are particularly useful when you are low on health and surrounded by enemies, where you can clear several out with one round of shots. You have to manage your ammo though, and buying more between stages is a must. Player upgrades for strength and health can also be bought, along with protective vests and skill-enhancing tattoos. You will soon realise, though, that you won’t earn enough money to level up adequately just through completing regular levels, and you are left with two options: in-app purchases – which are clearly sign-posted – or taking to the Streets. 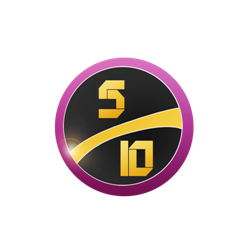 The Streets is an endless mode where players can simply build up money and practice their skills, while also setting high scores on the Leaderboard to challenge friends and enemies alike. The problem with this, though, is that to take part in any levels – be them story-based or in the Streets – you need Stamina. This is depleted one block for every level you play, having six as maximum. If they run out, you need to either spend real money on more or wait fifteen minutes for one block to re-charge. This is irritating and actually stops you dead just when you are getting into the game. Either spend more, wait, or just give up. VERDICT: The problem with Fightback is that if you don’t actually want to spend more of your own money, there is little in the game that is going to make you want to wait and come back later. The story is wafer-thin, the graphics average and the gameplay very repetitive. If you reach the lack-of-stamina brick wall, it is more likely that you will simply give up than bother waiting for the meter to refill. The inaccuracy of the control method and repetitive nature of the gameplay won’t keep fighting fans busy for long. Each fight feels more or less the same, and even the so-called boss battles are basically the same thing as a regular level. Things do gradually get harder and harder in order to present a challenge, but this feels more like a way to push you into upgrading than to genuinely increase the difficulty. Had Fightback been a full premium game instead, then maybe the grinding and upgrading would be acceptable – but instead it is hampered by in-app monetisation. Being themed like an over-the-top action game, one would expect some humour and knowing winks to be scattered through the title too, but this is played far too seriously and, as such, comes across as po-faced and boring. It’s a shame that such a bland game comes from a developer so well-known for their creative flair.